Due to the business of the season I've not been able to keep up with my blogging/challenges. While we have said goodbye to 2014 and hello to 2015, I look back and think it was a very good year for me, and for my family. I feel the momentum from last year has continued into this new year and I have lots of ideas and goals, I hope you do to. Positive change is very necessary! 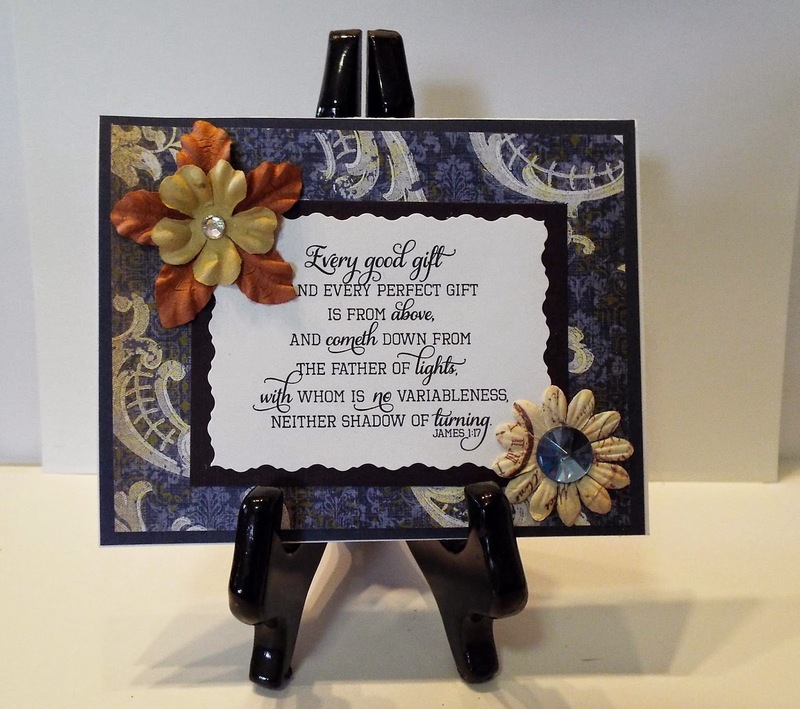 It is a simple card I made for part of a scrap challenge. 2014 was a good gift for me, and I feel 2015 will be even better. But no matter what happens this year I know The Lord is faithful and in Him there is Variableness neither shadow of turning, I am safe, I am loved. Thank you for stopping by and I hope yo can find the time to read the wonderful book of James! A wonderful verse and background. Well done love it soooo much. Hi Ginny, Happy New Year! I absolutely love, love, love the font on today's card. It is just beautiful!